Retro sunglasses have ruled the runway and the street for several seasons now, and Fendi's cat-eye pair proves they're going nowhere. 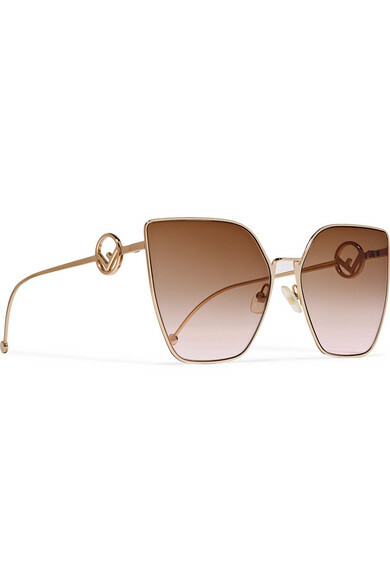 Made from gold-tone metal, they have large gradient pink lenses and the label's iconic 'F' logo at each side. Sweep your hair behind your ears to show them off. Shown here with: Chloé Jacket, Goldsign Top, Monica Vinader Earrings.